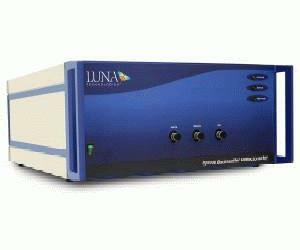 The Luna Technologies Optical Backscatter Reflectometer (OBR) delivers unprecedented inspection and diagnostic capabilities for the fiber-optics industry. The Luna state-of-the-art OBR provides isolation of faults and problems well before final test, saving hours in rework and hard dollars in yield loss. Industry-leading 40 micron spatial resolution with zero dead zone will pinpoint even the smallest contributors to loss: bends, crimps, bad splices, you name it — we find it. Discover what you do not know about your component and what the Luna Technologies OBR can do for you.